In case you haven't heard, Marvel Studios recently reached a historic deal with Sony Pictures paving the way for the third cinematic Spider-Man of this millennium. Also, the Pope is Catholic. Since there are still less than a million analyses of the implications on the World Wide Web, let's consider a question not getting much press: Is this the beginning of the end for exclusive licensing of comic-book properties? First, though, let's clarify what this Sony-Marvel partnership is and isn't. Despite some oversimplified reporting, movie rights to Spider-Man are not reverting to Marvel. They remain steadfastly under the control of Sony's Columbia Pictures, who acquired the license back in 1999. What's new and novel here is that the licensee (Sony/Columbia) is willing to share rights to the character and mythos with another licensee — in this case, the wholly owned subsidiary of Marvel we know as Marvel Studios. In other words, Sony is willingly turning a blind eye to the exclusivity promised them in their original licensing agreement. It still comes as a surprise how much this brand is worth. Not without reason. 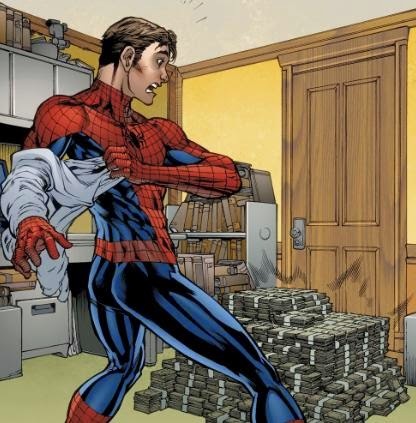 The Amazing Spider-Man raked in $758 million worldwide, a pretty penny by anyone's standards. Consider the massive costs of making star-heavy, effects-laden movies — Amazing had a production budget of $230 million — and the uncertain costs of promotion and paying whatever licensing fees and revenue-sharing are owed Marvel, and you begin to appreciate what an expensive house guest the Spider-Man license can be. If Spider-Man is a goose that lays golden eggs — and it most certainly is — it's one that eats its weight in gold, too. The Amazing Spider-Man 2 did well internationally, but its take at the U.S. box office dropped off nearly a third from the original film in the series, leaving a beleaguered Sony, reeling from hacking and The Interview fiascoes, anxious to step off the path of diminishing returns represented by The Amazing Spider-Man 3 and start fresh. The deal with Marvel allows them to do just that. On their own, Sony had no creative excuse to relaunch the flagging Spider-Man franchise. In a partnership with Marvel, they can "cater to the creative needs of the Marvel Cinematic Universe," bend to the will of fans who "want to see a more authentic Spider-Man," or whatever reasonable mandate fits the eventual reboot. "Fantastic new opportunities for storytelling and franchise building," as Bob Iger says. Movie-making is big-budget, high-stakes business. Studios don't like to introduce more risk into the process than is already built in. This is why most mainstream films hew to the same formulas and how what works once becomes an endless barrage of what once worked. A film pushes the boundaries a bit, surprises audiences with its freshness, and a dozen imitators arise to reverse-engineer its plot, characters, or "attitude." No business, even comics, is as rife with rules, formulas, and received wisdom as the film business. Marvel Studios put itself on the map by pushing specific boundaries, by breaking a few silly rules anyone with half a brain could recognize as rules, formulas, and contrivances. When Iron Man hit theaters in 2008, the consensus was that only top-shelf super-hero properties could build an audience. (Only seven years later, it strains our internet-atrophied collective memory to recall a time when Iron Man wasn't a top-tier name.) When The Avengers arrived in 2012, everyone knew you couldn't build a summer blockbuster that required knowledge of previous, largely unrelated film series — and that if you could do it once, you certainly couldn't repeat it, as the cost of superstar actors would be prohibitively high. As we head into the summer of the Avengers sequel, things have changed. Rather than an underdog breaking the rules, Marvel Studios is the establishment. The Marvel brand rides high on a crest of faith from its fans that invites religious comparisons. This golden age can't last forever, but Sony (like everyone in the movie business) knows to play it safe — to go where the smart money is while it's there. No matter how clever or bulletproof their plans for a third Amazing Spider-Man film may have have been, Sony could only hope, at best, to compete with the zeitgeist magic of "a Marvel movie." Partnering with Marvel Studios and breaking one silly rule about exclusivity in movie licensing allows them to make both a Spider-Man movie (the latest in a long chain of comics' most valuable licensed property!) and a Marvel movie (from the studio that brought you all that is good in life!). By ignoring the exclusivity of its licensing agreement and working with Marvel Studios, Sony is making a smart move in the short run — and changing the status quo for all of us in the long run. Once a rule is broken (as Iron Man broke the second-tier comic character rule and Avengers the shared-universe rule), the genie is out of the bottle. The inexorable laws of Hollywood economics insist the rule be "broken" again and again for maximum profit. The pressure is on for 20th Century Fox to reach out to Marvel Studios' Kevin Feige in some way. Unless Josh Trank's hail-Mary production of The Fantastic Four scores a touchdown in August, every eye in the room will be on Fox executives to pick up the telephone and make that call, to cash in on Marvelmania while there's still time. Marvel's deals aren't the only places we see signs of exclusivity eroding. 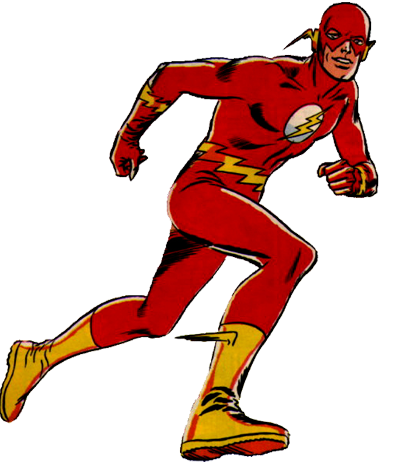 Although the Flash stars in his own weekly television series on the CW, Warner Bros. is developing a feature film starring a different actor (Ezra Miller) to be set in the shared universe introduced by Man of Steel. 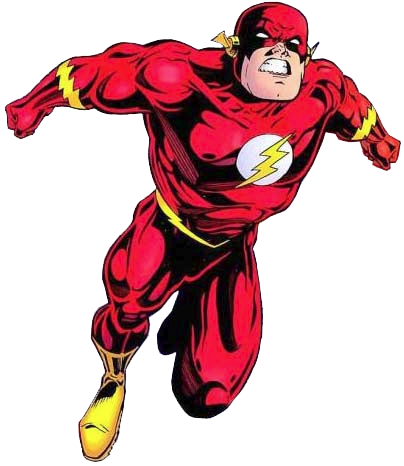 Heck, Miller's casting was announced just as initial ratings for Grant Gustin's turn as the TV Flash were coming in, leading Arrow star Stephen Amell to chide the Bros. for impeccably bad timing. 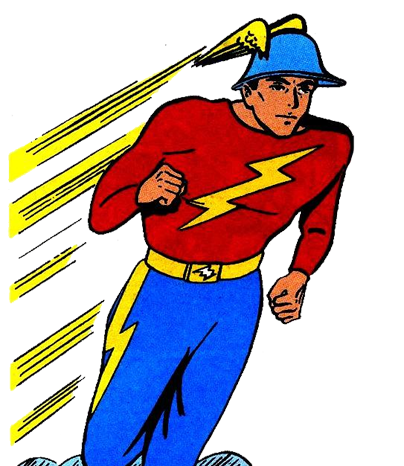 With The Flash and Arrow doing well on television, it's clear neither DC nor Warner Bros. have a hang-up about their characters appearing in different versions in (ever-so-slightly) different media. And let's not forget Arrow's penchant for using Batman-family characters, notably Rā's al Ghūl, who featured prominently in Christopher Nolan's recent Batman films. Do we really expect Roy Harper to stay true to Arrow and not appear in some form on the upcoming Teen Titans show? The plethora of super-hero stories on big and small screens proves non-niche audiences have an appetite for the genre. Maybe there was a time in the past when publishers benefited from granting exclusive use of Superman or Spider-Man to a single network or movie studio, but today's TV and movie makers are more than willing to negotiate for a slice of the Spider-Man pie rather than go without. Even the publishers, creatures of habit though they are, are beginning to realize they're in the driver's seat. The writing is on the wall: Exclusive licensing is a bad deal for the IP holder and no longer necessary to get wider exposure. It's past time for this change. The notion characters must be licensed to a single studio is a silly rule, rooted in underestimating audiences and sheer, ignorant inertia. Sony's willingness to look the other way, to "break" the rule, may be the thin end of the wedge here — the beginning of a flood of imitative deals that will leave licensed characters (and audiences) better off in the long run. Not that long ago, everyone in television believed audiences had neither the capacity nor inclination to remember continuity from week to week. Episodes of TV shows stood alone and could be watched in any order, stymieing long-term character development or plot pay-offs. The networks got over that bit of so-called wisdom, and audiences now follow season-long arcs and even entire shows built around a single plot progression, like Breaking Bad. So give me three Spider-Men. Personally, I'd have loved Columbia to finish its Amazing Spider-Man trilogy with Andrew Garfield as it was promoting the arrival of a brand-new Spider-Man in Marvel Film to Be Announced (But We All Think It's Civil War). 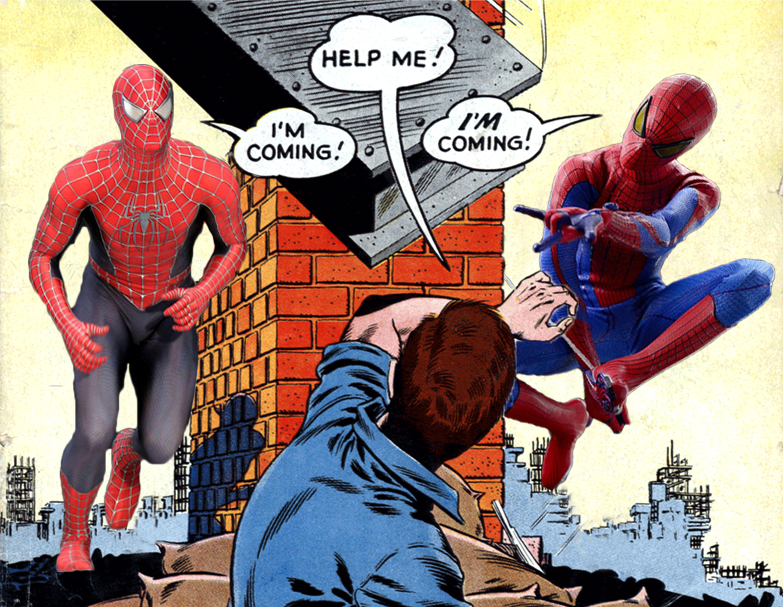 In an age of cord-cutters and savvy television audiences who throw around the term "shared universe" as comfortably as any fanzine writer of the 1970s, no one would be confused by two Spider-Men. A parting thought: Since Marvel is now farming out part of its core Marvel Cinematic Universe continuity to Sony, would it be willing to do the same with future projects? Looked at through a certain lens, isn't that what it's doing with ABC's Agents of S.H.I.E.L.D. and Agent Carter and the Netflix Defenders family of shows? Could the Spider-Man deal open the door for partnerships with Lionsgate or Focus Features? Might we finally get that Wes Anderson Power Pack movie I'm hankering for? “Story will trump continuity.” What does that even mean? Does that imply that writers now have a greenlight to trample over other stories as they see fit? We kind of already had that at DC and at Marvel. Even within some of the biggest crossovers at both companies, consistency of story and character can be pretty non-existent. The ability to ignore continuity is something that comic creators have begged for in the past... not that it ever stopped them before. 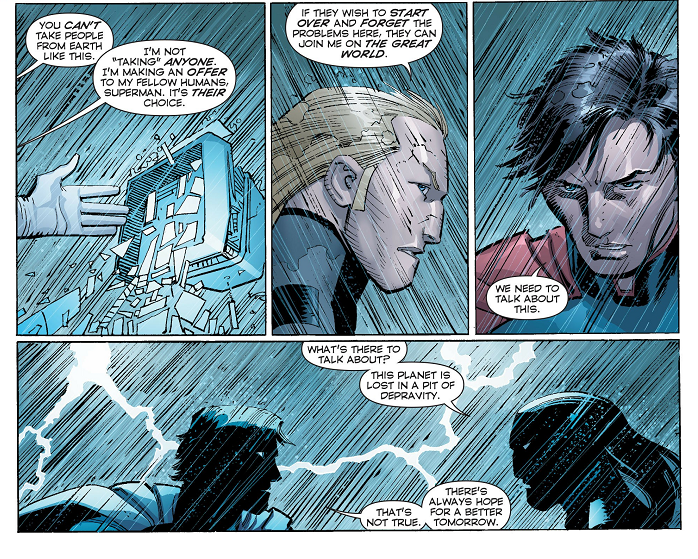 And I won’t shed any tears over the loss of the New 52... especially since it’s not actually going anywhere. DC later put out a statement that clarified that the 2011 reboot continuity is still in effect. The bigger question is whether DC’s newest shake up can lure back lapsed readers and regain some of the sales momentum from the early days of The New 52. For me personally, I don’t think it’s enough. I see a lot of buzzwords in the announcement like “inclusive,” "contemporary," and "accessible;" which in theory sound like good ideas. But in execution? 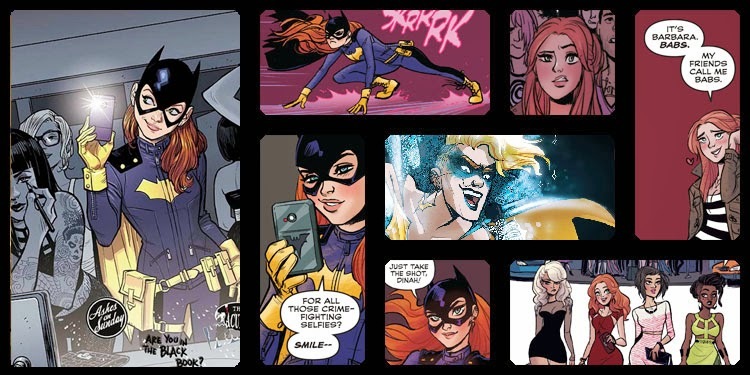 Bleeding Cool’s Rich Johnston has characterized DC’s latest moves as a response to the success of the Batgirl of Burnside creative reboot by Cameron Stewart, Brenden Fletcher, Babs Tarr. To be sure, that book has been a success story for DC that brought renewed interest to Batgirl and Tarr’s artwork has been very pleasing to look at. But as a template for the DC Universe, I don’t think that this Batgirl title should be the guiding light. I really wanted this to be something that I could get behind, but the title character as written by Stewart and Fletcher doesn’t seem like Barbara Gordon to me. Under their pen, she’s kind of a ditz, and she’s a lot less competent than she used to be. I understand that imperfect characters are more interesting than perfect heroes, but Barbara Gordon has lost a lot of the defining characteristics that made her so likable to me in exchange for character traits designed to make her seem younger and more hipster. I’ll give Geoff Johns this: at least his recent Superman run felt like a Superman story that could have been at home in almost any era. His Clark Kent and Superman had an innate consistency with the core of his character that the new Barbara Gordon lacks. It’s not like we have this problem with Batman. He was one of the few characters to enter The New 52 largely unchanged, and Scott Snyder has been a very solid writer on that book. As much as I’d like to see the DC Universe I grew up with make a full time comeback, I know that’s never going to happen. You won’t see Wally West as a full grown married man with superpowered children outside of Convergence. James Gordon isn’t getting his white hair back any time soon and the only Justice Society sticking around will be the Ultimates-lite version hanging around on Earth 2, not the originals from WW II. 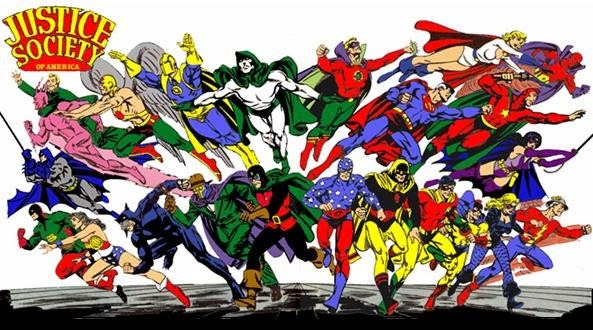 Will we ever see the Original JSA Members again? I miss that pre-Flashpoint world. But I’m not so desperate to get it back that I’ll buy anything with the characters that I loved just because it’s in front of me. There are some encouraging things in DC’s announcement. I think that having Bryan Hitch back for a second run on Justice League of America could be a lot of fun... depending upon how well he can write. One of DC’s tactics to lure the big name artists appears to have been offering them the chance to write their own titles. That’s one of the reasons that David and Meredith Finch are co-writing Wonder Woman. But I still have to wonder how committed DC is to this current course of action. This feels less like a fresh start and more like one of Marvel’s annual “let’s relaunch everything!” initiatives. Believe it or not, I’d actually like to see DC succeed in bringing in new readers and new audiences. I just want to be able to enjoy the comics with them, rather than see some of my favorite characters twisted and contorted into something that I no longer recognize. 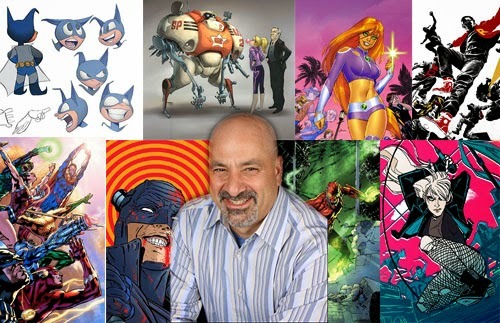 Recently, Jim asked me to kibitz with him about the state of DC Comics. If you caught that post, you may have noticed we share a common fondness for the bygone days of comics and a keen curiosity about their future, both as a medium and as a business. We both grew up surrounded by comics, got liberal arts degrees, then swerved into careers on the World Wide Web. We met when I worked in comics retail and Jim was transitioning from early adopter of digital comics to wild-eyed prophet. It's an honor to be Jim's guest here, and I hope you'll indulge me as we look backward and forward together, talking about everything from back issues to digital formats, databases to nostalgia. Unless you're living in the bombed-out wreckage of a Blockbuster Video, I imagine you've seen the teaser trailer for Marvel's Daredevil series, coming to Netflix April 10. Let's take a closer look and count down its virtues and vices, Flashback-style. 1. Catholicism is front and center. The first thing Netflix tells us about this Matt Murdock is his religion, and it reveals more of the series' backdrop than that tired old shorthand "Catholic guilt." Murdock's unease is no hand-wringing nag of conscience but the existential burden of the human condition: Try as he might to stay out of trouble, he finds himself morally compelled to act. Daredevil is damned if he does and damned if he doesn't, steeped in a fatalism that strikingly complements that of Netflix's flagship shows, House of Cards and Orange Is the New Black. 2. And yet — no devil suit. 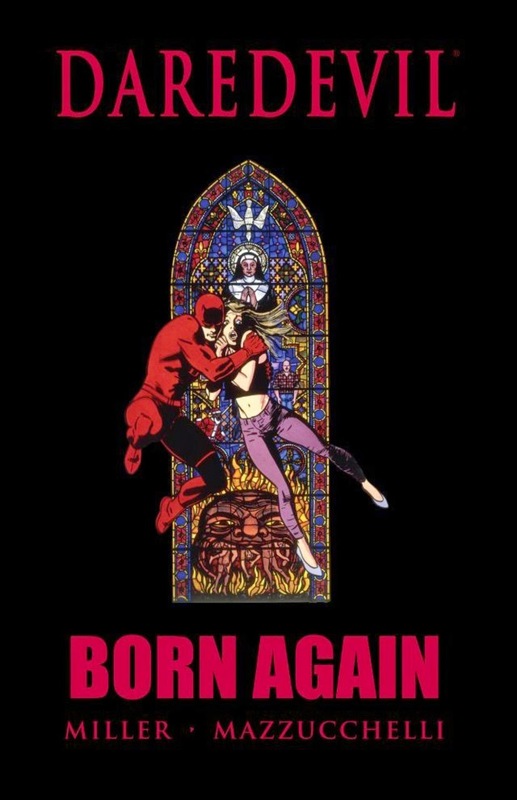 Sure, he'll have the iconic suit (or some version thereof) at some point in the series, but to leave it out of a trailer steeped in Catholic trappings is to miss an opportunity to demonstrate what makes Daredevil tick. At his core, Daredevil is a mass — sorry; litany? — of contradictions: A would-be good Christian who dresses as the devil to uphold his morals, a lawyer who breaks the law to uphold it, a man who abhors violence yet excels in it. Excluding the secular icon that is DD's super-hero suit, the religious iconography of the trailer feels orphaned, perhaps even squandered. I can't help thinking of an early trailer for 24 that failed to explain the real-time/24-hour conceit of the show. Super-heroes aren't the only ones known for wearing red longjohns, and a trailer with no hint of horns is a Garden of Eden without a serpent. 3. Then again, this is only the first teaser trailer. Maybe there's a reason to hold off on the suit. 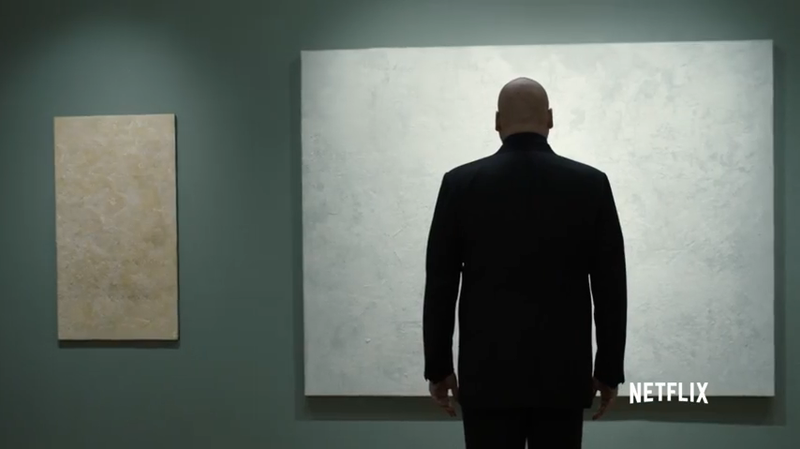 There should be at least one more trailer before April 10, and the vast majority of the public, who don't set Google alerts for "Daredevil+Netflix" and pore over spy photos from movie sets will be encountering Netflix Daredevil for the first time in this trailer. Leading with the devil duds may give cousin Norma a distorted view of Daredevil, maybe even leading her to write it off as "a super-hero show" (whatever that means these days). So saving them for a second-trailer reveal could be smart marketing and smart storytelling — lop-sided iconography be damned. 4. No lawyerin'. Not one shot of a courtroom? Cousin Norma is going to have no idea what Matt Murdock does for a living! The law is more than a colorful backdrop for Daredevil's office antics. It's the rock on which Daredevil is built: Street crime threatens it; failure to keep it (in the religious sense) is the source of all that delicious Catholic tension. Just as there's no Fall without a paradise, there's no Daredevil without the law. Focusing with such intensity on faith and crime in the trailer but not even mentioning the law is surely an oversight. Plus, as Jim points out, audiences love a courtroom drama. They loved James Spader as Alan Shore on Boston Legal, and they love him as Red Reddington on The Blacklist. In Daredevil, Netflix is giving audiences both Spaders at once. How is Papa 'Flix not exploiting that? 5. This masterful bit of mise en scène. Two differently-shaped canvases on a wall evoke the panels and gutters of a comic book. The canvases sport two tones, left to right, suggestive of old, yellowed newsprint and modern slick printing. A lone figured framed against the larger canvas occupies it like a character in a comic book panel, except he stands in relief to the "panel," undeniably three-dimensional. 3-D as the camera gives us maybe the widest array of colors it will offer in this trailer. Though it's a limited palette, it's subdued and stands in contrast to the four CMYK colors of the traditional comics page. This is a beautiful, evocative image that almost works as a thesis for adapting comics to the screen. 6. Despite that, for a teaser trailer, it's light on the visuals. Teasers are usually sumptuous, or at least visually punchy. This one's dark and perfunctory, anything but flashy. Given Daredevil's comic-book roots, I expected a trailer built on sweeping imagery rather than story-specific set-up beats. But then, the first trailers for House of Cards were visually pedestrian, too, relying on Kevin Spacey as their single special effect. Marco Polo's initial trailer was highly visual, though, seducing the eye rather than the ear. Here, Netflix goes for the House of Cards approach. Daredevil being blind, there's a fair point in aiming the trailer at senses other than sight. That would be smart, but I doubt it's the intent here. 7. Because the trailer doesn't evoke the other senses particularly well. The audio and visuals are slightly out of sync, creating a sense of disorientation and even obfuscating bits of the introduction of Matt Murdock. Can cousin Norma, who's being introduced to Matt Murdock here, tell he's blind from watching the trailer? We have the shot of him walking up the aisle toward the sanctuary, clacking his cane — but the cut to the confessional is quick, and it's easy to miss the half-second establishing shot that confirms the man with the cane is the man speaking to the priest. If there are aesthetic benefits to the fuzzy-edged and/or dark shots, the too-quick cuts, the lack of establishing shots, and the crowded soundtrack, those are outweighed by the impact all this disorientation has on clarity. 8. The snippets of incidental dialogue that crowd out Matt's monologue, however, are well choreographed. They reveal character and subtly shade our expectations. "You think this is still about you," for example, indicates the arrogance it takes to don a mask and set about solving your neighbors' problems with violence, regardless of to whom the line is actually addressed in the episode. 9. The music is underwhelming. Last year's Guardians of the Galaxy went unapologetically kitschy for its soundtrack, but to date that's the sole exception to Marvel Studios' penchant for low-key soundtracks that keep their heads down and try not to call attention to themselves. The incidental music (or maybe it's just sound design?) we hear in the Daredevil trailer is typically restrained. I don't know that Daredevil calls for a flamboyant sonic identity, and I doubt Netflix aims to discover or create the next Wes Anderson (who builds elaborate, immersive musical worlds for his films). But I do look forward to the next Marvel Cinematic Universe outing that has a little spring in its step. 10. Cuff links. 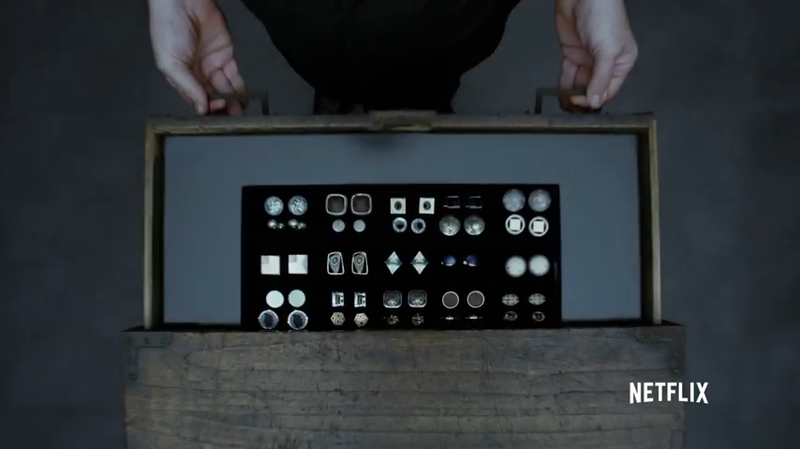 Daredevil is going to put cuff links on the map. Stop rolling up your sleeves now.